The latest participants to receive payments in the Lightning Torch are Reid Hoffman who is the co-founder of LinkedIn and a digital assets team from Fidelity Investments. These two companies are global giants in career networking and financial services respectively. Therefore, their indirect participation in the Lightning torch is vital with respect to raising awareness of the efficiency of using Bitcoin Lightning network. Lightning Torch is an ongoing test that aims to illustrate the speed of the new Bitcoin payment technology. It is important to note that the word “torch” illustrates the idea of relaying Digital Tokens on a peer to peer basis underpinned by trust. Hence, the project allows different individuals to transfer BTC from one trusted individual to another where each peer is supposed to contribute a nominal amount of BTC to conduct mini crowdfunding. It is for this reason that the experiment is also dubbed as the ‘LN Trust Chain’. The Lightning Torch is still in its experimental phase ahead of its actual implementation. The technology is an actual layer of Bitcoin and allows users to bypass conventional payment platforms such as Visa, Skrill, Neteller, etc. that are expensive to use. The project started in the middle of January 2019 by a Twitter user known as @Hodlonaut. Many prominent members of the Crypto community have since joined the movement and this has since turned out to be a success. 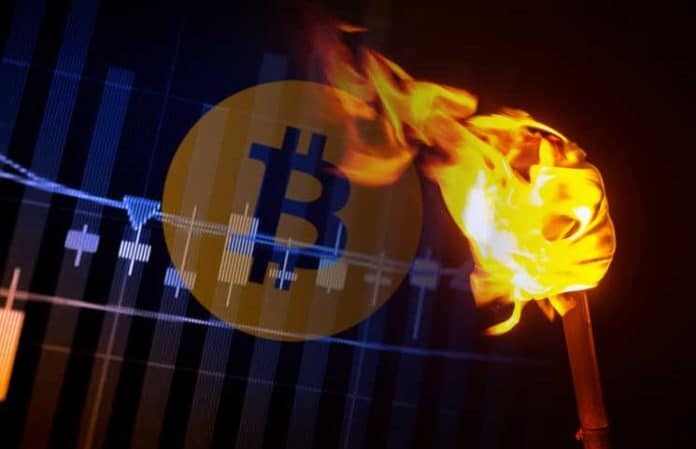 In a tweet, the Fidelity Center for Applied Technology research team confirmed receiving BTC payment #LNTorch ⚡ on the Lightning Torch from @Wiz. The team was seeking for the next trusted participant to pass the payment to. Crypto community members who have experienced the convenience of the Lightning Torch believe that the network is relevant to business needs. For example, Twitter CEO Jack Dorsey revealed that this technology is ideal and makes it possible for users to adopt Bitcoin for their daily transaction needs. Dorsey tweeted that because of the new payment platform, he is only using BTC Token since it is the most efficient to use in business transactions because of the instant LN platform. In addition to Jack Dorsey, Fidelity investments team members, and Reid Hoffman, there have been other 221 users of the LN experiment in 137 countries. The chain tracker shows that 3,700,000 satoshis have been collected, an equivalent of $143, through the crowdfunding campaign. Despite the few incidences of breach of trust where a user stole a small amount of BTC and another one declined to participate in the experiment and returned the BTC, the test has been successful. The LN Chain experiment has not had any tangible effect on the price of BTC at the time. However, the payment solution might have long term effect not only on the price of BTC but also its stability. The current BTC price is under bearish pressure at $3,793.27. The capitalization is at $66,615,574,544 and 17,561,512 BTC are in supply.